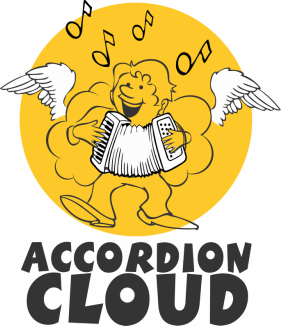 The prices shown are for supply and fit Installations on your accordion. If you are buying a new Vignoni accordion we offer a special discounted rate on each of the systems for midi and microphones. For the accordionist who wants to add MIDI, without getting involved in too much programming. Simple to use, transit on 4 channels, uses the well proven Solid State sensors for the contacts, eliminating all the problems associated with springs and contact bars. Does not affect the natural sensitivity of the accordion. Same features as Q-Link with the addition of bellows dynamics. The midi signal can respond to the dynamics of the bellows allowing greater control through expression of the player. Same features as Q-Select but control panel mounted in an external box. No panel on the accordion. The Music Maker is the most complete system for the accordionist who is looking for a solution with both internal sounds and Preset Performances as well as control for external MIDI expanders and other equipment. The Music Maker uses the world famous Q-Select MIDI System and programmable features with an integrated Sound Module providing unrivaled high quality digitally sampled sounds. The sounds have been specially selected with all kinds of music in mind, therefore providing a valid backup to working accordionists. The contact systems are the same as the Q-Select which use solid state devices. There are 75 different Preset Performances already memorized in the "Flash Memory" all using digitally sampled sounds, of which 25 are accordions unrivaled in their sound quality and reality. All preset Performances can be re-programmed to choice by the user. Astonishingly sensitive dynamic bellows expression which adds that little bit of luxury for the really selective player. 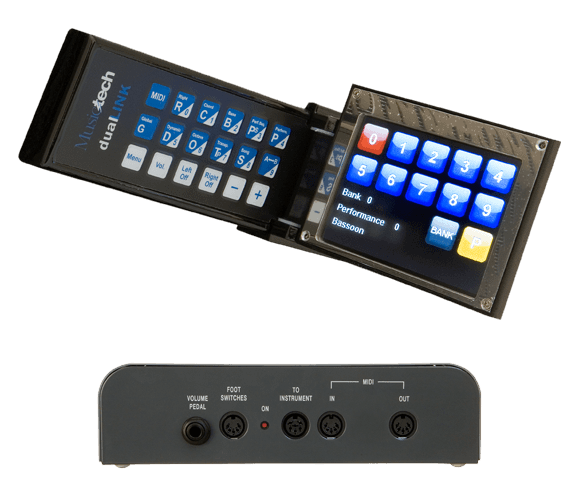 Control of external MIDI devices by means of the MIDI Out control facility offers even more flexibility in the sound combinations and arrangements. The Music Maker can be fitted in any type of accordion or diatonic, whether traditional or reedless. The Dual Link DigiSound is loaded with 150 Sounds, 150 Performances, MIDI File and MP3 readers and a USB connection for your PC. It has extraordinary sound combination possibilities and is completely programmable and able to transfer information to/from a USB stick. Solid State contact system. Two Sound Banks are incorporated; one with General MIDI Sounds and one with over 150 Sounds of which 40 are accordions and other instrument sounds such as Strings, Woodwind, Brass, Organs etc. 100 completely programmable Performances, with the possibility to Save/Download to and from a USB stick. Each Performance can combine two internal sounds and two MIDI sounds (external) from each section (Right, Bass and Chords). Furthermore, in the Left Hand section it is possible to combine rhythmic sounds to both the Bass and Chords sections. By default, the factory provides 100 Performances programmed especially to meet the needs of most musical tastes. The Dual Link is equipped with two USB ports enabling the loading of MIDI and MP3 backing tracks. The MIDI backing tracks are routed to the internal General MIDI sound bank. Furthermore there is a USB Device (output) port that enables the Dual Link to connect to a Personal Computer, and this is automatically recognized as a MIDI IN. The Touch Screen, together with the control panel, allow complete control to change the performances very easily with a single touch. The Dual Link is equipped with a Volume Pedal and as an optional extra, a 4-way Foot-Switch. Both programmable for the internal functions of the instrument and the external MIDI functions or both. While you are playing, this function permits to make a glissando (+/- one octave) according to the sound module settings. Optional function for any midi system.